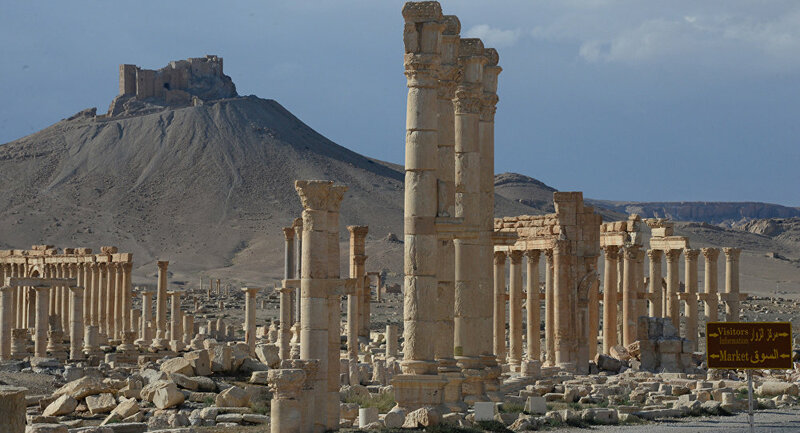 The Russian bomb squad has demined 20 hectares of Syria's city of Palmyra. MOSCOW (Sputnik) — The Russian bomb squad has demined 20 hectares in the historical part of Syria's ancient city of Palmyra in the past 24 hours, clearing a total of 117 explosive devices, the Russian General Staff said Monday. "In the past 24 hours, the Russian sappers have cleared six kilometers of roads, 20 hectares of territory and three buildings in the historical part of Palmyra," Lt. Gen. Sergei Rudskoi, head of the General Staff's Main Operational Directorate, said in a statement. "A total of 117 explosive devices have been destroyed, including a powerful bomb with equivalent of 120 kilograms of TNT," Rudskoi added. The Syrian armed forces, backed by militias and the Russian Aerospace Forces, recaptured Palmyra from the extremist group, outlawed both in Russia and the United States, on March 27, nearly a year after militants took hold of the city and destroyed much of the UNESCO World Heritage Site's artifacts.